Entranced by Edward O. Wilson's mesmerizing evocation of his Southern childhood in The Naturalist and Anthill, Alex Harris approached the scientist about collaborating on a book about Wilson's native world of Mobile, Alabama. Perceiving that Mobile was a city small enough to be captured through a lens yet old enough to have experienced a full epic cycle of tragedy and rebirth, the photographer and the naturalist joined forces to capture the rhythms of this storied Alabama Gulf region through a swirling tango of lyrical words and breathtaking images. 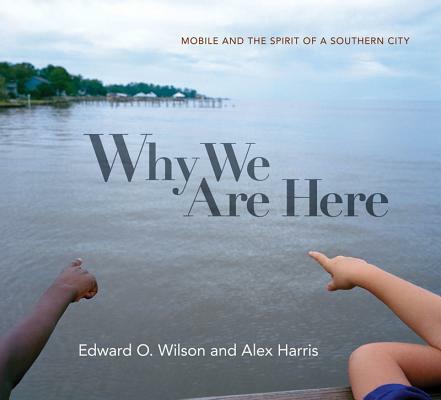 With Wilson tracing his family's history from the Civil War through the Depression--when mule-driven wagons still clogged the roads--to Mobile's racial and environmental struggles to its cultural triumphs today, and with Harris stunningly capturing the mood of a radically transformed city that has adapted to the twenty-first century, the book becomes a universal story, one that tells us where we all come from and why we are here.